New Delhi: “No child turns to crime out of choice. It is always poverty and circumstances that put one on the wrong path" says the soft spoken Abbas. He is 20 years old and was in Tihar’s Central Jail for three years before shifting to the Observatory Home where he has been housed for over a year now. Arrested for theft, he is neither bitter nor angry. Not even when told that as a minor (he was 16 when he was charged and confined) his lawyer could have defended him and made sure he at least stayed in a home and not in prison. 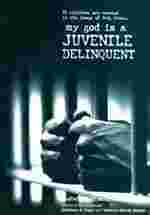 In ‘My God is a Juvenile Delinquent’ the author takes the reader through a number of such stories based on his painful journey into a world where children are in conflict with the law. From petty theft to murder and sexual harrassment there are cases of gross injustice where a child has been kept under custody for years when he was actually innocent or just a convenient scapegoat. The years of confinement affect children in different ways.a0f6f9ca-bba9-11dd-9a79-000b5dabf613.flv Not all are as gentle or forgiving as Abbas. Ruzbeh poignantly captures anger, frustration, depression and suppressed violence that is like a volcano, ready to burst. Taking you through legalese and the knotty ways in which the Juvenile Justice Act works, the book reveals different facets of the author himself - an activist, film maker, researcher, writer, satirist and finally a father. Each story that he tells is like a felt experience, perhaps because it is about children and their vulnerabilities. A good read for all those connected with child welfare and social justice. Case studies are gently woven in like a creative story telling exercise and the last section of the book details the law, how it works, data culled from police records in different states and draft reports that have so far been submitted to the National Council for the Protection of Child Rights (NCPCR).